In the beloved TV series Game of Thrones, young Ned Stark is seen clashing swords with the henchmen of Targaryen in front of a spectacular castle known as the Tower of Joy. Like many locations in this immensely popular TV series, the Tower of Joy is an actual castle, albeit with a different name. 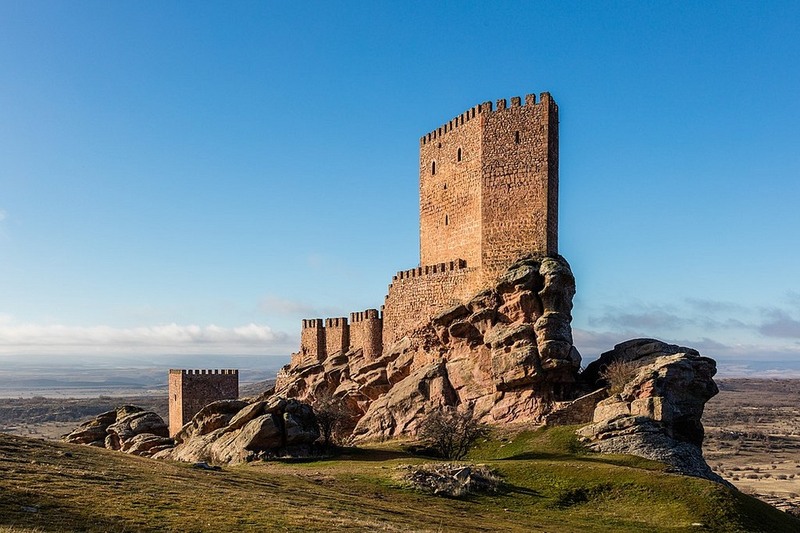 Its real name is Castle of Zafra, and it is located in the Spanish province of Guadalajara. 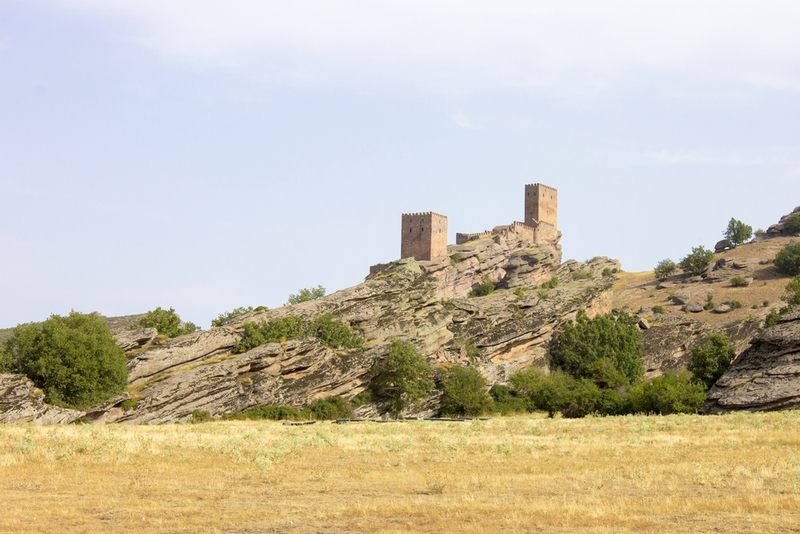 Castle of Zafra stands on a rocky outcrop in the Caldereros mountain range, at an altitude of 1,400 meters. It is the only building for miles around. The entire area is characterized by sloping meadows interspersed with heavily-eroded sandstone outcrops, one of which is occupied by the castle. The castle tower, known as the Tower of Homage, and the other buildings are enclosed by a wall that runs around the periphery of the entire outcrop. Despite its small size, the castle is thought to have been capable of accommodating as many as 500 people. 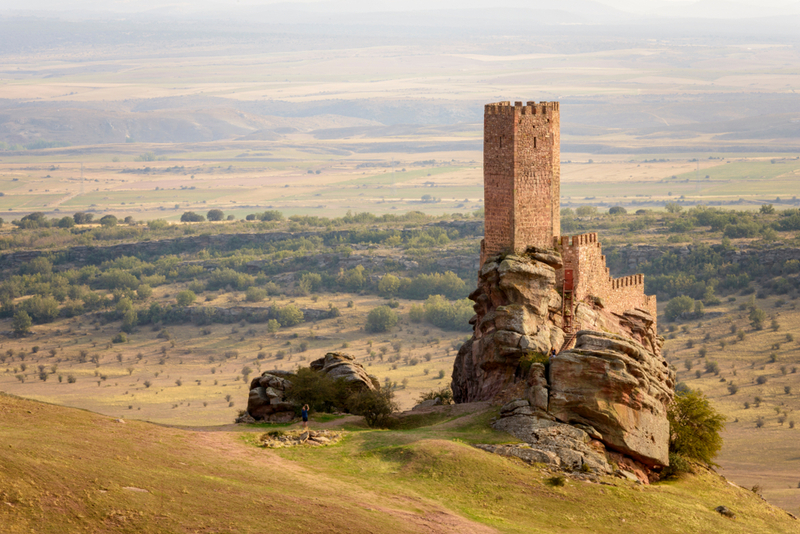 The castle was constructed between the 12th and the 13th centuries, but this region and the rock in particular has traces of habitation dating back to the Bronze and Iron Ages. There may have been an earlier structure built by the Romans occupying the rock on which the castle now stands. 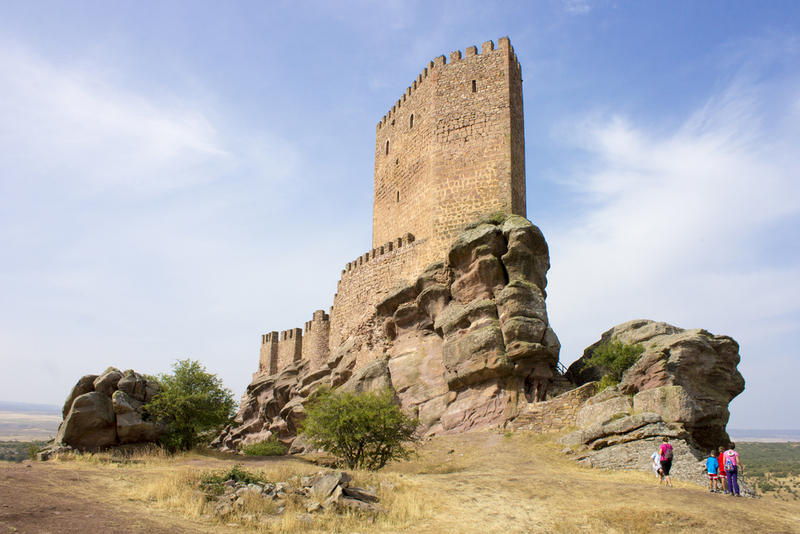 We also know for sure that a fortress stood here during the time of the Visigothic Kingdom in the 8th century. 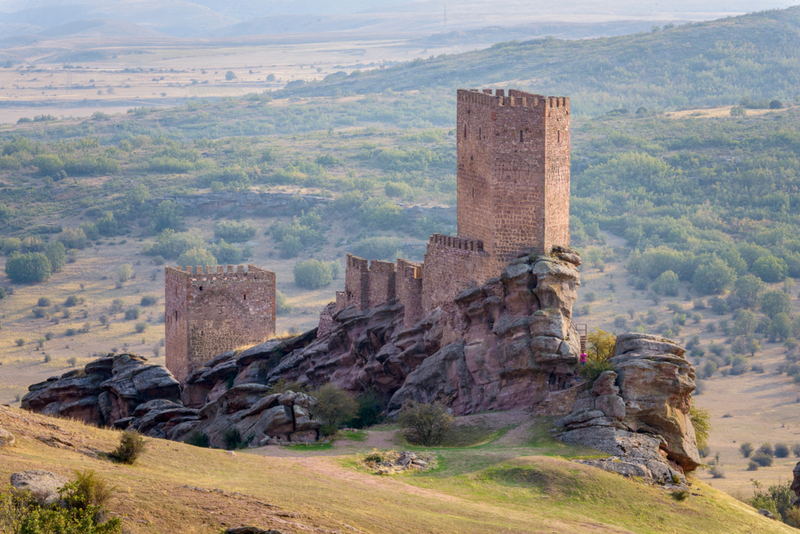 The Moors also built a fortress here that was conquered in 1129 by the Christian kingdoms of the north of Spain. The present castle was built by the Kingdom of Aragon to serve as one of its key defensive position in the south of the territory. 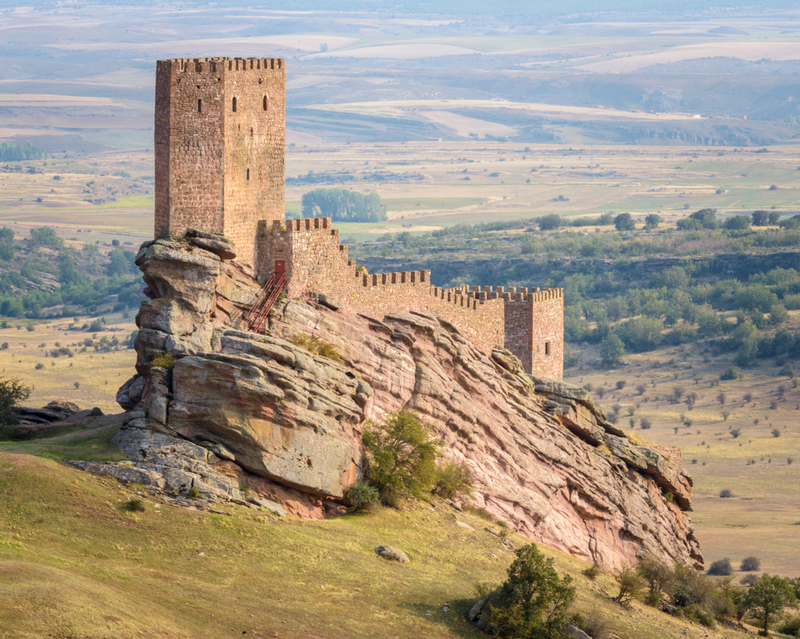 Its defenses were put to the test in 1222 when King Fernando III of Castile tried to storm the castle and failed. The castle remained unconquered until the end of the 15th century when its significance as a defensive fortification ended and it began to fall into disrepair. The castle was in a completely ruined state when an individual bought it from the state in the 1970s. For the next thirty years, the owner spent most of his fortune repairing and rebuilding the castle to its current state.